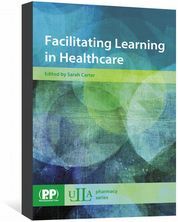 Facilitating Learning in Healthcare is a practical guide to healthcare teaching, for those from non-teaching backgrounds. 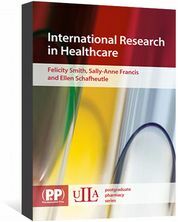 Edited by Sarah Carter - Research Manager, University of London School of Pharmacy, UK. 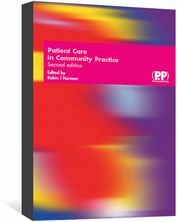 This practical and easy-to-read guide is designed for people from non-teaching backgrounds who have been asked to facilitate the learning process in the healthcare disciplines. It will enable new teachers, lecturers, assessors, tutors and facilitators to quickly and easily understand common educational concepts, to learn how to effectively assist learning, and to reflect and improve upon their own teaching practice. reflecting on teaching and learning. Facilitating Learning in Healthcare is a useful practical resource for new teachers, mentors and group supervisors in all healthcare disciplines. 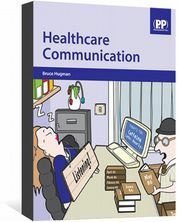 Facilitating Learning in Healthcare is also available as an ebook. "...If teaching is not your main role, this book provides sufficient depth to support your development as an educator along with extensive reference lists to guide your further reading...This is a book that fills an important space on my bookshelf and has proven to be a fantastic, concise resource for teaching and learning theory. For practitioners like me who are developing their teaching skills or undertaking teaching qualifications, this book brings together a range of literature, theories and approaches into one accessible volume." "The book would be useful as adjunct reading for those embarking on teaching for the first time. It provides a wealth of information on approaches to use that support learning, its assessment and evaluation, some of which are innovative and could be fun to use. It is well written...I especially like the way the bibliography is broken down into subject areas, enabling readers to spot texts supporting their special interests." "...This book will allow teachers new to the field of healthcare education to understand the common educational concepts and techniques, to learn how to effectively assist learning, and to reflect upon and improve their own teaching practice. This book is however not intended to be a comprehensive teaching manual. It is rather, an easy-to-read guide which will allow the teacher [to] understand common educational concepts and apply these to their every day teaching practice." "As Colleges of Pharmacy seem to be shifting more and more pharmacy education activities to practicing pharmacists, this book will be of some value to those that have limited experience in teaching. It contains tips, personal accounts, and exercises...This book can be of great value to practitioners as well as college faculty and is written by experienced authors."